Joseph B. Berglund, 20, pleaded guilty to two counts of unlawful sexual touching in a plea deal in which four gross sexual assault charges were dismissed. A West Gardiner man originally charged with gross sexual assault in 2017 for allegedly sexually assaulting two women while they slept at a West Gardiner home was sentenced to 60 days in jail after reaching a plea agreement with the state that dismisses those charges and allowed him to plead guilty to lesser charges. Joseph B. Berglund, 20, was sentenced Thursday to 60 days in jail and one year of probation after pleading guilty to two counts of unlawful sexual touching. The sentence also includes conditions that he undergo counseling and treatment to address conduct related to consent and sexual contact, have no contact with the victims and perform 100 hours of public service work. One of the two victims in the case testified Thursday that the November 2017 incident has hurt her family, her work, her schooling and how she sees herself. Since the incident, she said, she withdrew from college because she doesn’t like being around people she doesn’t know, and she wears clothing that covers nearly every inch of her body. She said she is scared to sleep and hates closing her eyes, because that is when the attack happened. She also said she can’t stand the feeling of being in the presence of a man, has isolated herself by staying inside and is now a shell of the person she used to be. It is the Kennebec Journal’s policy not to identify victims of sexual assault. Assistant District Attorney Frayla Tarpinian confirmed, when asked by Judge Rae Ann French, that the case was scheduled for trial but the state instead agreed to dismiss the more serious charges, with Berglund agreeing to plead guilty to two new charges of unlawful sexual touching. French, following a long pause and after learning Berglund has nothing else on his record other than an operating after suspension charge and is 20 years old, said she would go along with the plea agreement. The judge briefly addressed the victim who spoke out about how the incident has affected her life and might into the future, thanking her for coming forward. Berglund did not appear to make eye contact with the victim when she spoke from a lectern behind the table where he and his attorney were seated. His attorney, Walter McKee, said Berglund did not wish to make any further statement in court Thursday. He pleaded guilty to the two unlawful sexual touching charges, and the gross sexual assault charges were dismissed earlier this month, with sentencing delayed until Thursday. When he first was arrested, Berglund initially faced two class B counts of gross sexual assault, each punishable by up to 10 years in jail, and two class C counts of the same charge, punishable by up to five years. 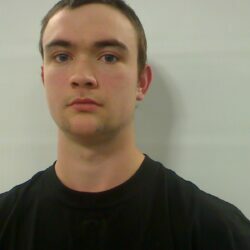 A probable cause affidavit filed by Scott Quintero, of Maine State Police, stated that both women were sleeping in beds in a Foss Road home when, without their consent, Beglund removed their pants and sexually assaulted them. Immediately after the incident, both women went to the Gardiner police station to report the crime.